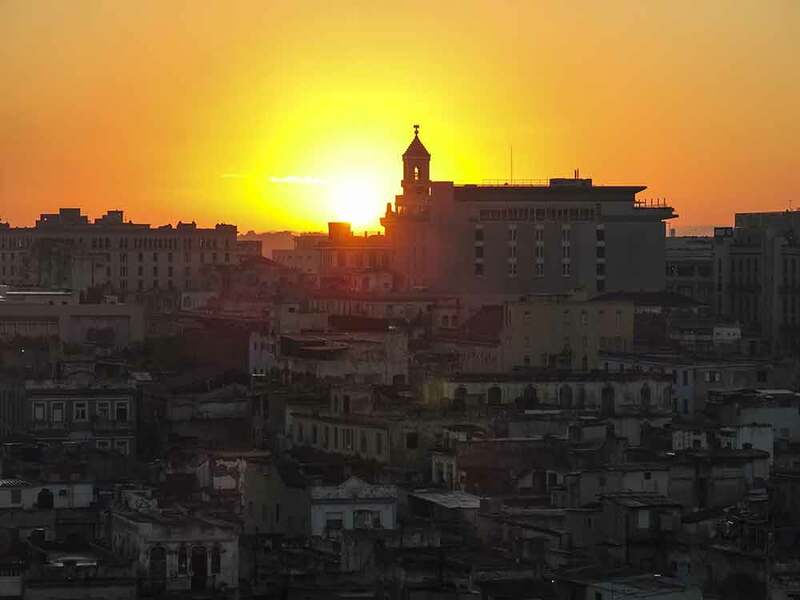 Havana is – quite literally – at your feet. 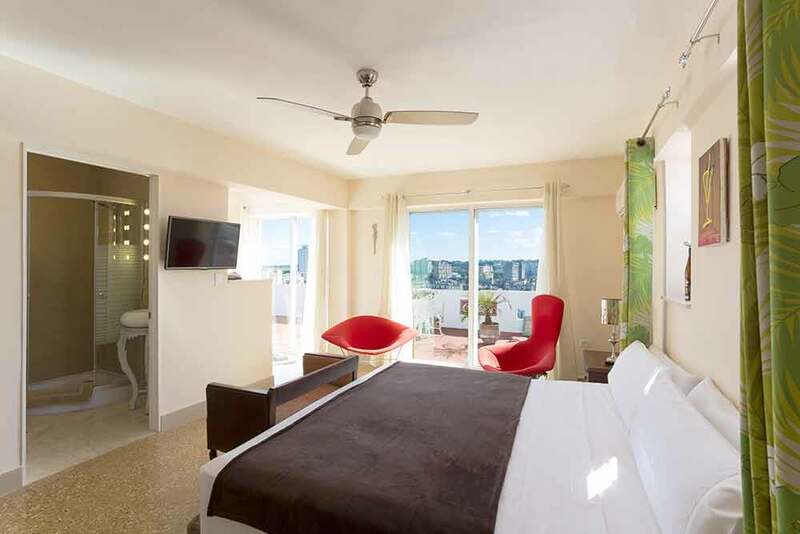 The grand old city and the Caribbean are laid out in sweeping views from your private, 10th floor terrace. 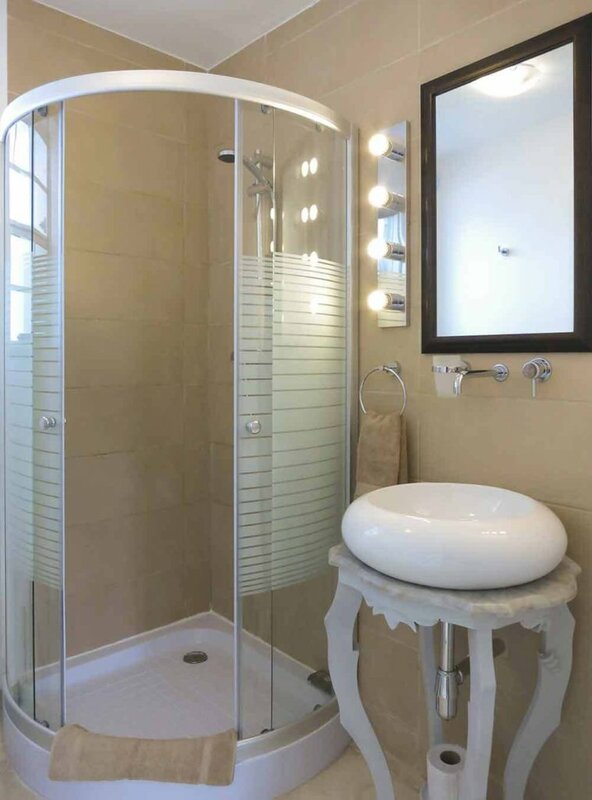 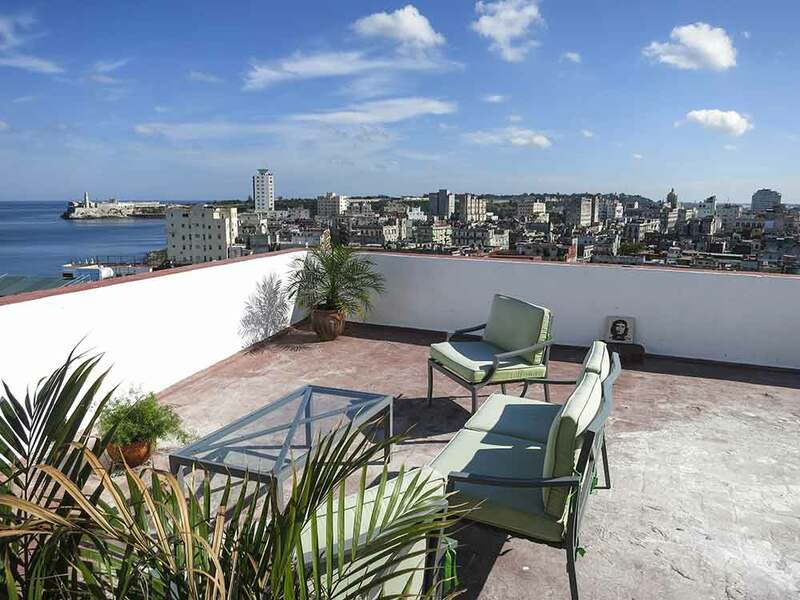 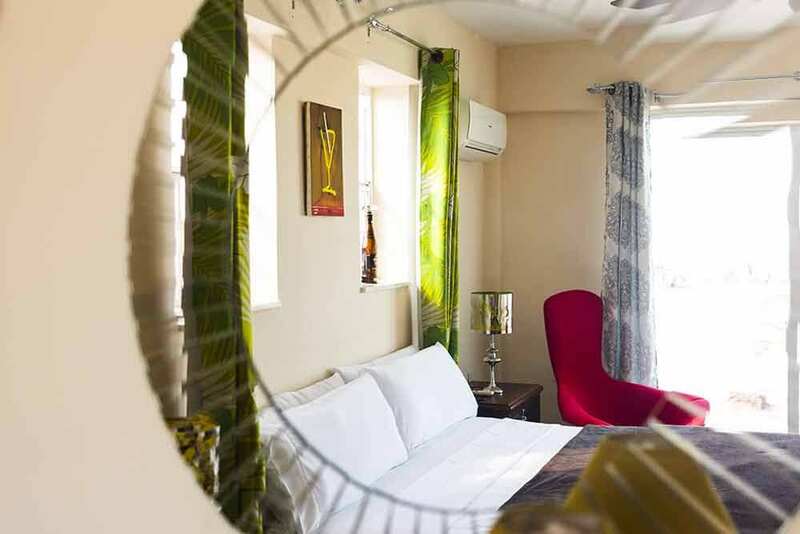 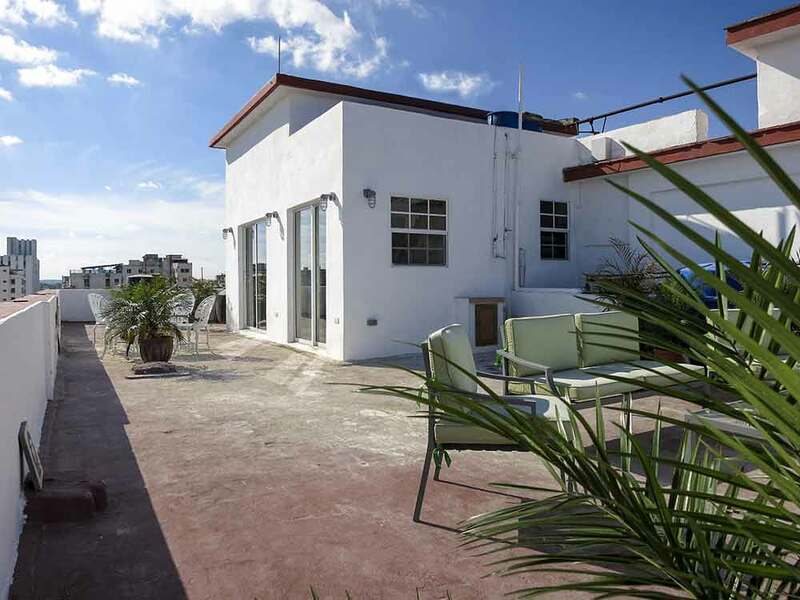 Tropicana Penthouse presents you with the opportunity to discover the attractions of Havana – including the city’s sizzling nightlife – without the formality of staying in a top class, central hotel. 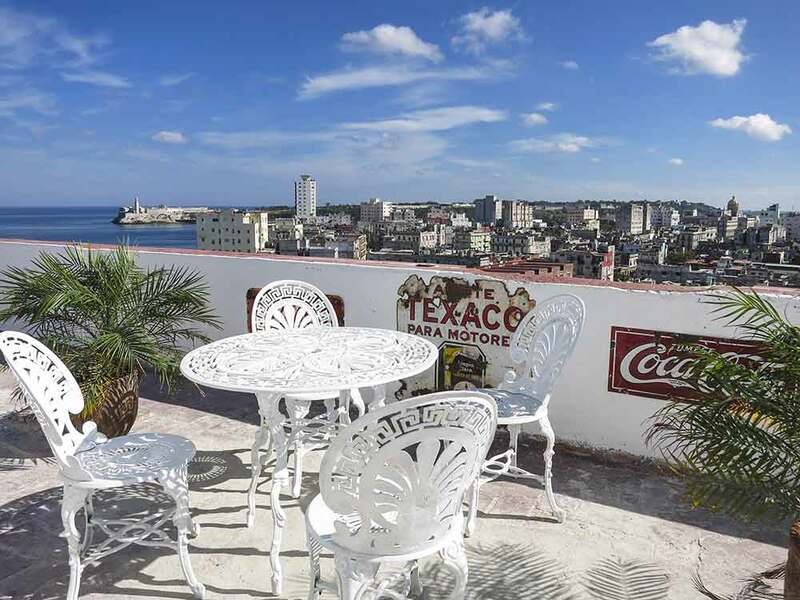 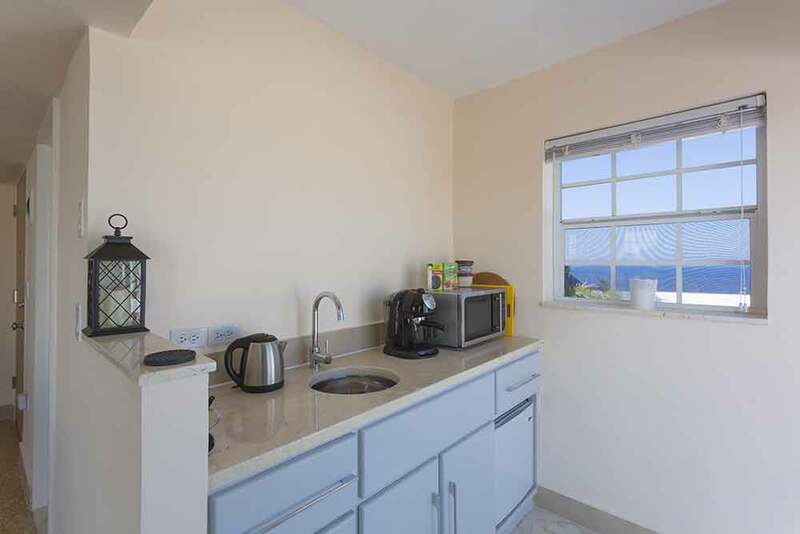 You’re free to eat whenever and whatever you like, lounge on your own private terrace that wraps around the whole apartment, or cruise off to explore the city in a classic 1950s American car, complete with a personal guide/chauffeur.